It consists of three levels, from Bronze to Gold, the first of which the charity already achieved last year. It is now aiming to achieve the remaining two before the end of the year. To this end they will submit proof that they fulfil every one of the requirements, of which there are more than 80 and encompass diversity and equality, monitoring and evaluation, health and safety, and more. I helped identify and collate all relevant evidence and then match it to each requirement, from policy reviews to press releases and accessibility audits. Halfway through the week, I took a short break from office work and went on a kite flying outing with the youth group in neighbouring Norwood Park. Besides honing my kite flying skills – which, after not practising since I was a child, were a bit rough around the edges – I enjoyed some fantastic views of the City from the top of the hill. 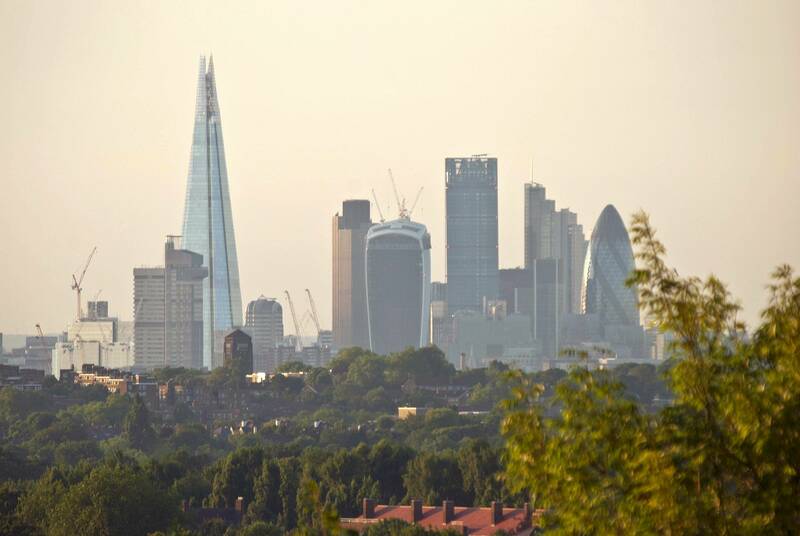 Views of the City of London from Norwood Park. This week also saw the final preparations for the first session of my programming workshop. As part of the planning, I had a go at completing all of the exercises myself with Scratch; it was surprisingly fun! After a few hours of playing around with coloured blocks and using no syntax at all, I’d unwittingly been introduced to statements, boolean expressions, conditions, loops, variables and more. The thought crossed my mind that university-level programming courses should start with tools of this sort, to ease the transition for complete beginners, and then apply the concepts in an actual high-level language. It was a surprise, then, to learn that Scratch is used during the first 2 weeks of the Introduction to Computer Science course at no less than Harvard University! The interface of visual programming tool Scratch.